Have a bill? Pay online! Porcelain veneers are used to correct misaligned, broken and discolored teeth by placing a natural layer of ceramic over your prepared teeth. The standard of dentistry has become the utilization of white composite resin material. This material matches the natural tooth color and is used to restore decayed or fractured teeth. The material is light cured and mercury free while providing an ideal esthetic result. These composite fillings are virtually undetectable. Porcelain Crowns are typically used to provide protection and coverage for compromised teeth. They can be used to restore a tooth’s function and appearance following a restorative procedure such as a root canal. Crowns and bridges can also correct missing teeth, bite dysfunction, and functional or structural problems. Dental implants are used to replace one or more missing teeth. They help maintain a health jaw bone, prevent bone loss and help main facial features. Dental implants provide the strength and stability required to eat all types of foods, without struggling to chew. A root canal is a treatment used to repair and save a tooth that is badly decayed or becomes infected. Root canal procedures are performed when the nerve of the tooth becomes infected or the pulp becomes damaged. 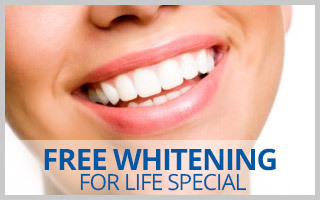 Teeth whitening can improve the appearance of your smile by removing the appearance of stains or discoloration of the teeth, by undergoing in-office or take-home teeth whitening treatments. The results are a natural, brighter and beautiful smile. Geared toward children from the ages of 3-14 years of age, Seaport Dental provides pediatric dental services in a relaxed, child-friendly environment. To help prevent tooth decay, our patients receive fluoride treatments, sealants, proper brushing and flossing techniques along with regular check-ups. Extraction is the process or act of removing a tooth or tooth parts. A very common reason involves a tooth that is too badly damaged, from trauma or decay, to be repaired. Periodontal procedures treat the gums and supporting soft and hard tissues in order to retain natural teeth and prepare for surgical placement of dental implants. Heredity, diet and other factors can result in gum disease. We will help you get a treatment plan that aggressively attacks any form of periodontal disease that will soon have your mouth back in top health. Invisalign® is the invisible way to straighten teeth without braces. The procedure is painless and hassle-free. Invisalign® uses a series of clear removable aligners to straighten teeth without the use of metal braces. Botox is a simple, nonsurgical treatment that can smooth the muscles by blocking nerve impulses. Botox is also used to temporarily smooth moderate to severe frown lines, smile lines and lip lines, restoring a more youthful expression on your face. Both men and women can be treated and results can last up to four to six months. DermaFiller is a non-invasive treatment that is injected into the facial tissue to smooth away wrinkles and folds especially around the mouth, nose and lips. DermaFiller helps add volume to the facial tissue and restores a smoother appearance to the face. Both men and women can be treated and results can last up to one year. Learn more about Facial Esthetics. Copyright ©2013 Seaport Dental. All Rights Reserved.